This week on Top Ten Tuesday...it's Freebie Week! So even though I have told all of these stories on this very blog, I'm gonna round them all up and present to you anew: a collection of books I was incredibly excited / lucky to stumble upon or otherwise acquire, often for an incredible price given their scarcity, and cherish to this day. I started out doing well with digging up photos and then just collapsed, entirely, despite having months to have planned this post if I so chose...but oh well. One of my Book Collector Quests is to get all of her books, but specifically to have all the hardcover-with-color-illustrations editions. I also wanted at least one that was signed. And then I scored 2 for 1 at a lucky-strike library sale -- this is one of my favorites of hers, even -- even though this county is very explicit about how they remove higher-value books to sell online (where? no one knows. 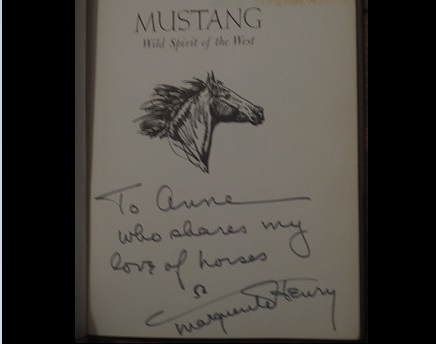 their seller account is unidentified), and signed vintage horse books always have good market value, even when ex-library. I still want to hug it every time I see it. I only have a photo of one and have not read either, but I know both are coveted and pret-ty rare, especially the first one, and I paid less than $5 for the pair. I found one at a library sale and the one above at Half Price Books (I am still baffled how they missed its value there). Perhaps I'm in a bit better position to find them because the author was a Minneapolis native, but even so... Anyway, I look forward to having the opportunity to settle in and read these at some point. I adored this German-published, English-translated novel when I stumbled upon it in my high school library (it is actually the sequel to The Ark, which I am still seeking); it has long been one of my favorites, but copies tend to go for $20 and up. I found this one for $1 on the library sale cart -- but very fortuitously, during a weekend I happened to be home when I was otherwise living on my college campus 70 miles away that summer. I'm so glad I don't have to harass Interlibrary Loan every time I want to look at it. Jim Kjelgaard was one of my favorite authors as a kid, but I had not heard of this one (fictionalized account of early Man), so when I came upon it at a garage sale I snatched it up. It turns out that Scholastic paperback editions start around $15 online, and for the hefty and indestructible toughness of the library binding in my hands? Keep going north, buddy. And what did I pay? Oh, 10 cents. It was 2011. I had been driving by myself for barely a year and still found it terrifying / mostly only did it as needed to go on a direct route to work and back. A local library was moving to a new location, having a book sale before the move, and almost guaranteed to weed out the remaining Lynn Hall books from the 80s in its collection. Lynn Hall was another of my favorite childhood authors, and these two were some of my favorites as a kid. I mean absolute favorites of ALL the books in the world. The first one in particular is still one of my favorite books in all the world. Under no circumstances was I going to let anyone else have my babies. ...but my dad had to work and couldn't take me until the last day. And so I drove myself 10 entire miles, clutching printed-out written directions and a map hoping not to get lost, made it, and combed the entire juvenile section until I spotted my prizes practically glittering on the bottom row. 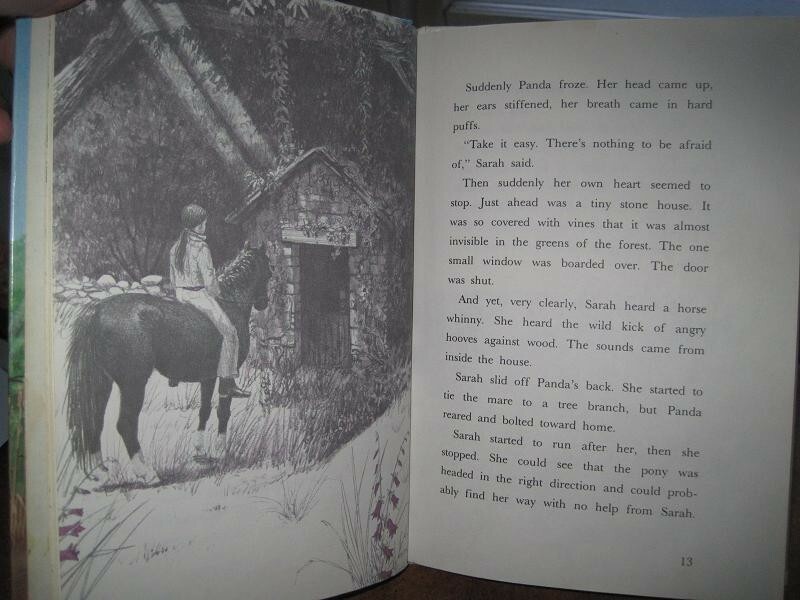 No one has ever been more stress than me looking for those pony books, not least because I didn't even know for sure if they were there, but I found them. And they are here to this day. So even though they are not THAT expensive online, the fact that I got the ones from home county (if not the exact copies I read) makes them even nearer and dearer to my heart than some of the pricey finds above. This is the only ARC I will ever own, and to date my only Goodreads Giveaway win, but it was the best possible one because I was SO excited to read this book. It came out (no pun intended) at the beginning of my Peak Klaine Shipping Days (which translated into general interest in all m/m pairings that has yet to be replicated), during a period of high tide for my interest in student/teacher shipping as well, and this book offers both at once. If I hadn't won it, I would've waited over a year for my library to get it, at which point I probably would not have been as interested -- but instead it came to me the literal day after Christmas, signed to me and everything, and was promptly devoured in rapture. I have not reread it yet, but that first reading experience was just everything to me. I pined over the publication of my beloved m15m comm in book form for years because it wasn't published in the U.S., and I considered it a boon I was even able to get my hands on it through Interlibrary Loan, as a poor college student. But a few years afterward, I was able to buy it online, basically brand-new, for $5. It is still in super-sweet shape. I will never tire of reading its parody scripts. I was raised on parody scripts in my earliest fandom days but I haven't seen a new one in so long that I wonder if today's youth will ever know such pure joy. 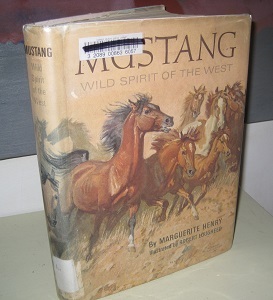 Album of Dogs is one of my favorite Marguerite Henry books, but it's somewhat hard to find, and in its original title it's even scarcer* -- especially with a dust jacket. But me? 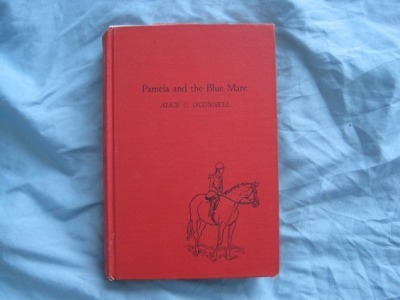 I scored it for $8 including shipping on Etsy simply because I had the good fortune / wise life choice to be a regular reader of the thrifting blog of the person who found it an estate sale, and I was ON IT when she announced she had added some old books from that sale to her shop. *aw dangit I have to get off my duff and add this edition to Goodreads myself apparently; seriously?! In the meantime, I linked a Flickr photo album that looks like what I have. I saw this at Goodwill for 15 cents and, based on the fact that the recommended books on the back cover included Benary-Isbert's The Ark, I just had a feeling I would like it. And I loved it. It has an incredibly tiny footprint on Goodreads, so I have no idea how widely read it ever became in English -- though to be fair, just being translated must mean it had prestige somewhere, at one time, right? -- but it means a lot to me, as you can see in my review, which currently is one of only two so you should be able to spot it. Truthfully, it does have a lot of foxing so I'd like to upgrade this specific book to a better copy...but much like High Challenge, I bought this 1950 book on a whim for very cheap ($2), knowing nothing about it, and it ended up being just an incredibly enjoyable and satisfying read that I will 100% read again.